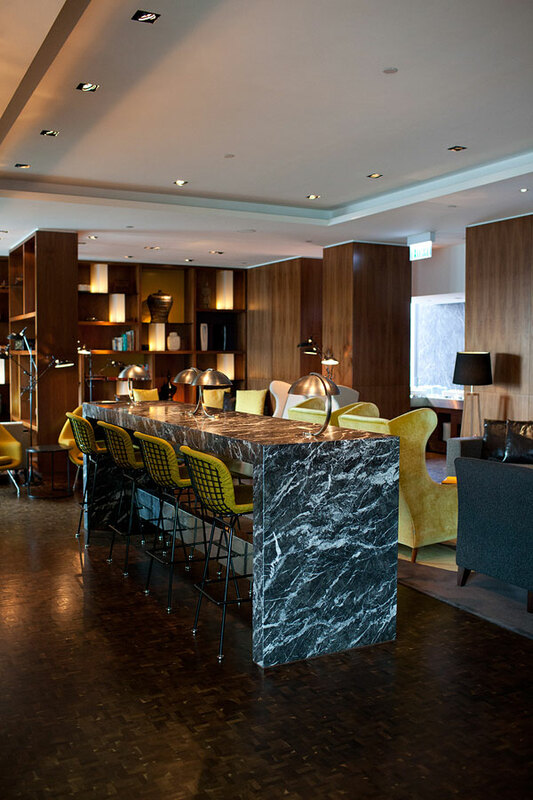 Hotel ICON is probably a new fresh spot in the hotel-packed TST East region. 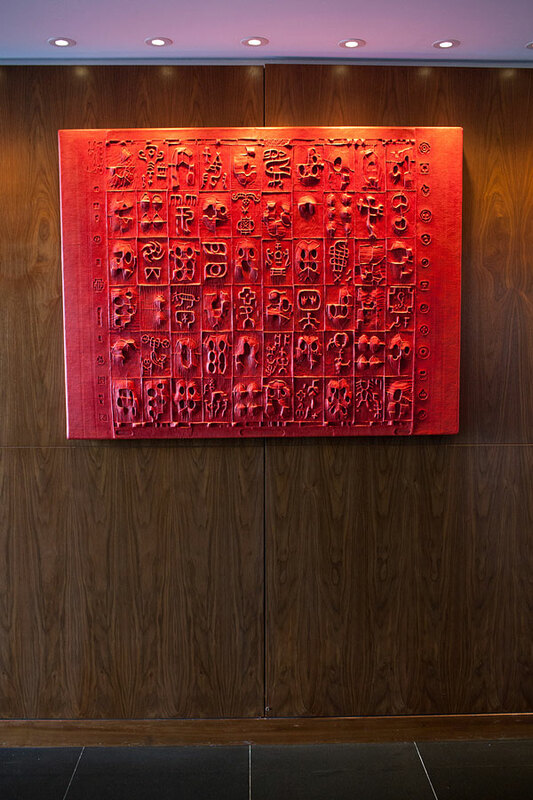 The surrounding hotels are mostly long established kinds with traditional style: dark color granite cladding, masonry construction and dim lighting. However, Hotel ICON is completely different. Every place is bright with sunlight coming in, and huge wall of plantation (fake plants but still) makes the place so fresh and comfortable. 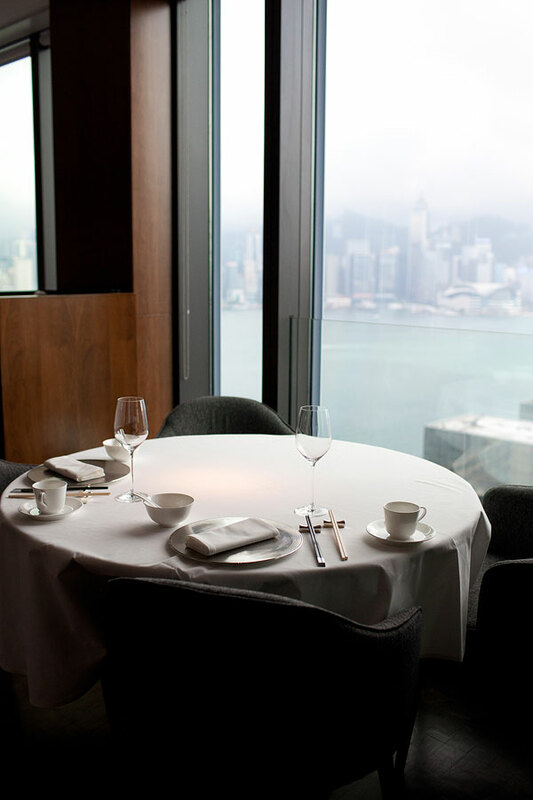 The Chinese restaurant is located on the 28/F of the building, and on that floor, you can overview the whole TST east area. The design of the place is interesting because it is a Chinese restaurant but it looks like a Western lounge. I like the design of the logo, though I am not sure why the ampersand should be stressed and turned into the logo. It is not surprising to see that many of the customers come here for the view, but the food is not bad at all. 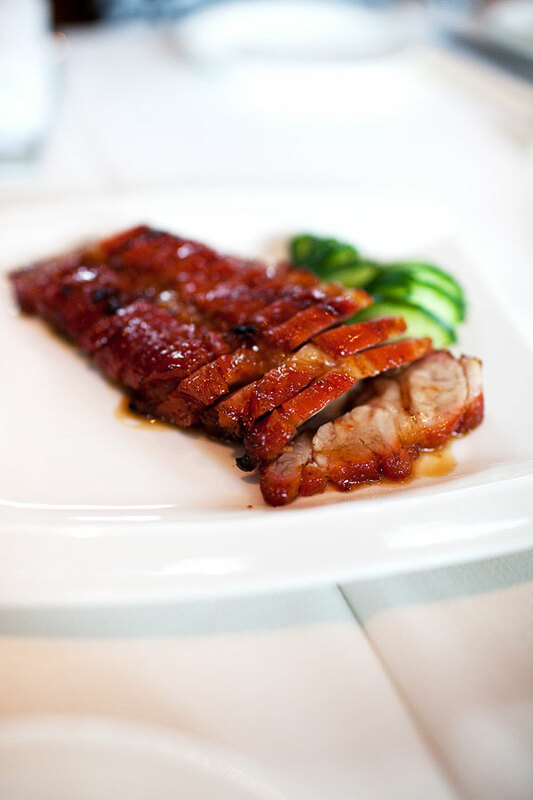 Recently, a food journal recommended this char-siu (Chinese-flavoured barbecued pork) and no doubt we order that to start our lunch. This Honey-glazed Barbecued Kagoshima Pork (明爐叉燒王) is indeed very well done. The juicy pork has its fat and meat evenly distributed, and while the pork is from Japan (Kagoshima 鹿兒島), it also takes good skills and good timing from the chef to make this delicious meat happen. The Fried Rice Rolls with Soy Sauce 豉油皇煎腸粉 and Steam Rice Rolls with Grouper Filling 古法斑片腸粉 are both good. I have never seen anyone stacking up the fried rice rolls like that, nor have I tried any steamed fish rice rolls. The latter is interesting, but I still prefer the classic beef or pork ones. 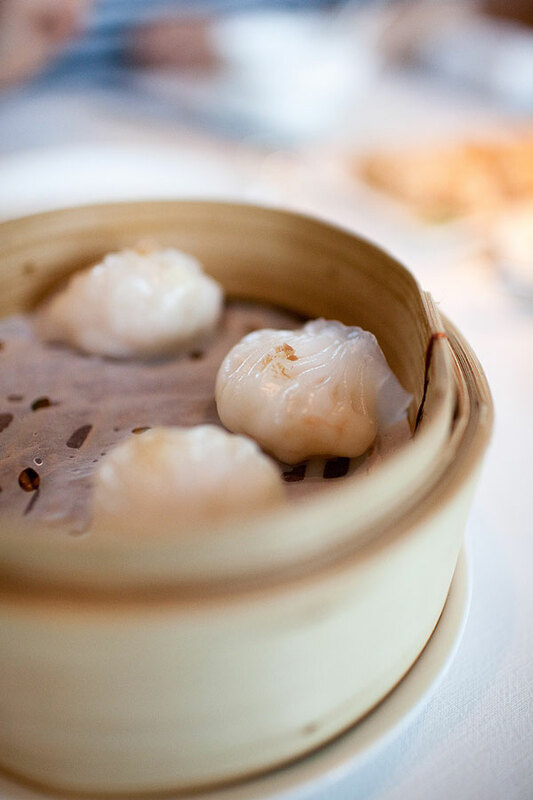 The next dim sum is a little extravagant. It is siu mai, but instead of stuffed with pork and shrimp, this one has lobster meat and scallop (龍蝦帶子燒賣). No doubt this one jumps right to the top of my best siu-mai list. 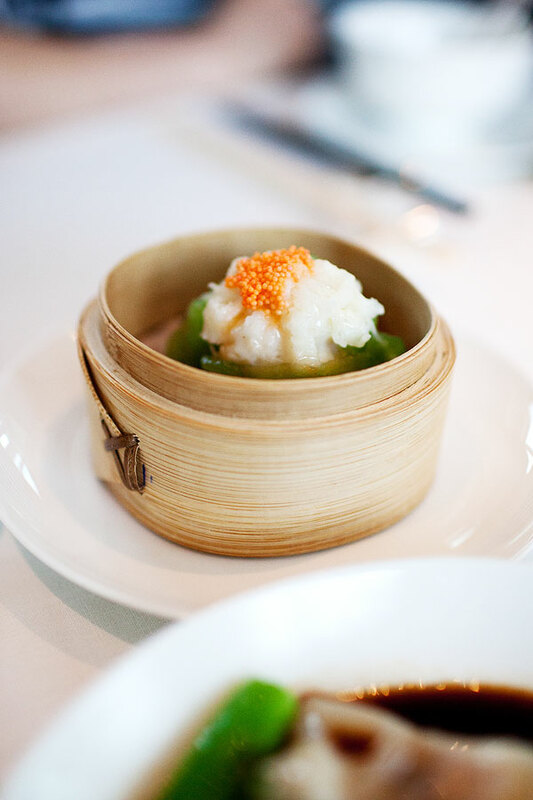 Even for the typical shrimp dumplings, there are special ingredients added to it. 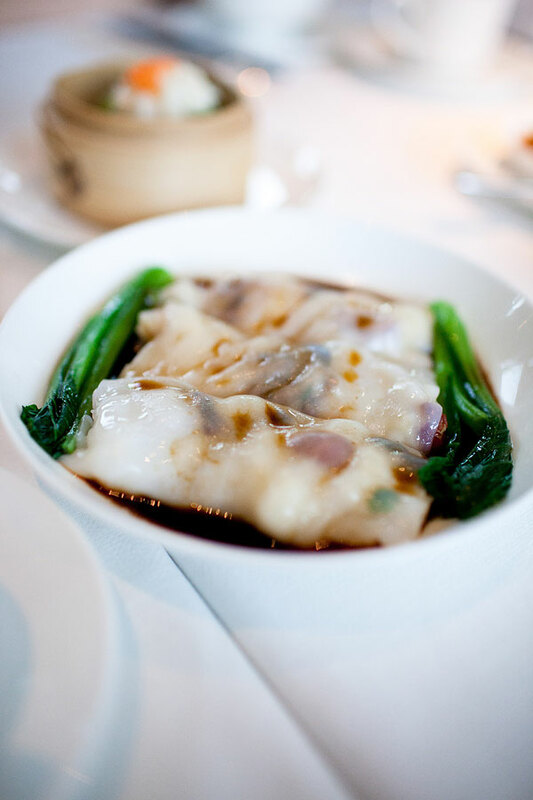 This dumpling 金華火腿茸鮮蝦餃 has minced Jinhua ham in the filling, bringing out the best flavour of the shrimp. 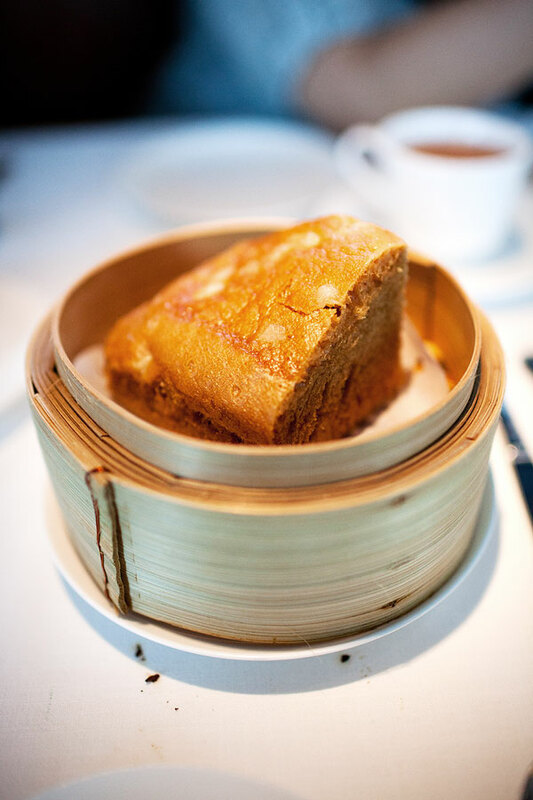 We also have the Malay Steamed Sponge Cake 馬拉糕. The most interesting part turns out to be the desserts. 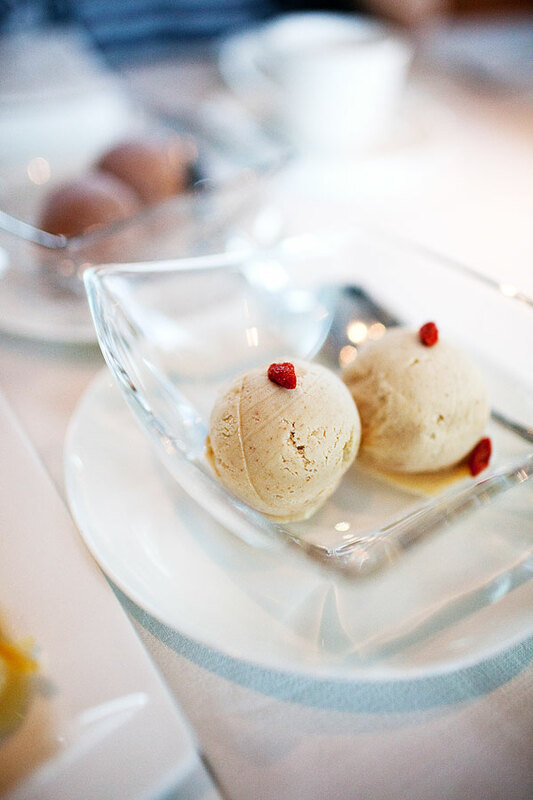 We order two flavours of ice-cream to try, the Wu Liang Ye Chinese Spirit and Chocolate 五粮液朱古力, and the Wolfberry and White Sesame 杞子白芝麻. The first one is definitely refreshing. What more do you want from exotic combo of the Chinese Spirit and chocolate? It tastes really alcoholic, but still a sweet treat. The latter one is actually just white sesame, and the wolfberry is more of a deco on top only. 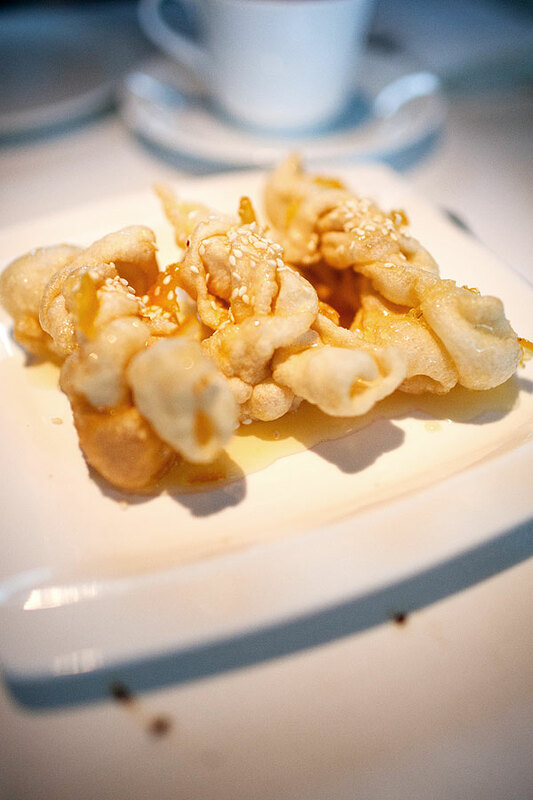 We also order a Citron Honey-coated Crispy Egg Twists 柚子蜜蛋散. Usually you will get honey on top, but this time with some citron flavour, the whole dessert is more refreshing and light. I enjoy the high-quality food as much as the view. I like the fact that they add a little twist to each of the dim sum, adding a little surprise to the food we usually eat in other restaurants. The service is not bad, but sometimes it takes a bit long to get the staff's attention. If you think the price is affordable, it is not a bad idea to enjoy a quiet yum cha session here. Free from the disturbance of crowd in TST, this place is perhaps for some private conversations. 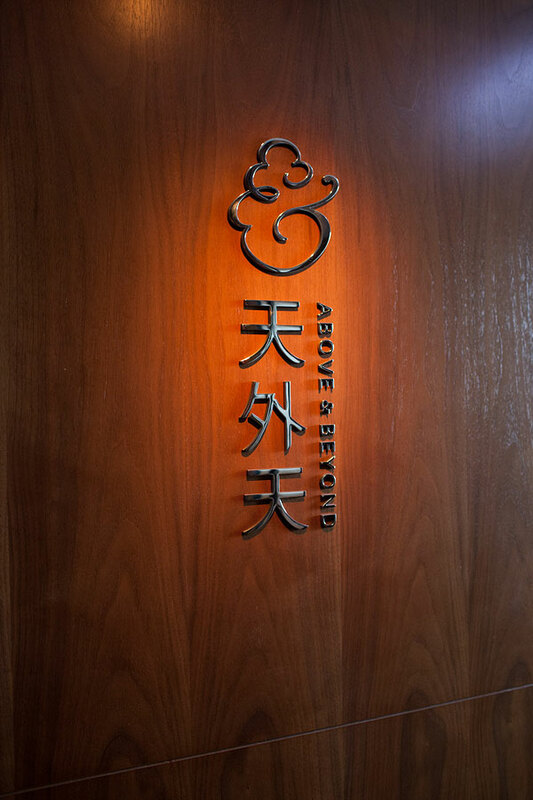 Above & Beyond is not perfect yet, but its prospect is promising. 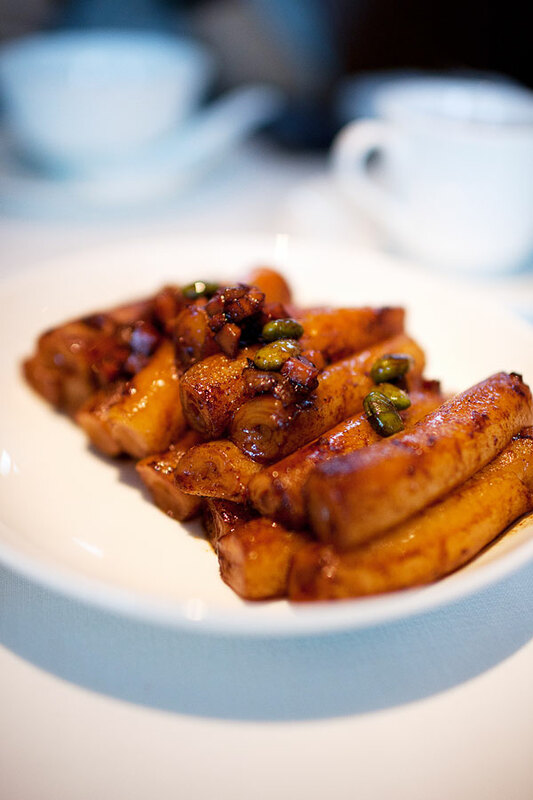 With more refinement in both food and services, this restaurant can easily be one of the best in the city.